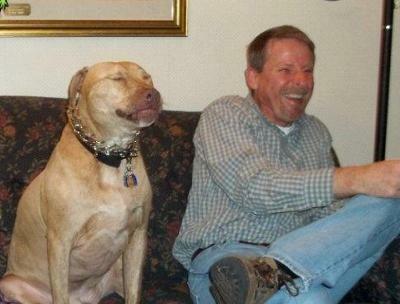 I have a URL on The Proper Pit Bull where I posted about my Peanut I rescued from a kill shelter....4 years ago. I am proud to say he is a healthy, loving and sensitive to my needs dog. I LOVE Peanut with all my heart. As big as he is, he still cuddles in my lap, gives me lots of kisses, licks my tears away....well, just more than I can tell. Peanut is also my Mobility Dog now. 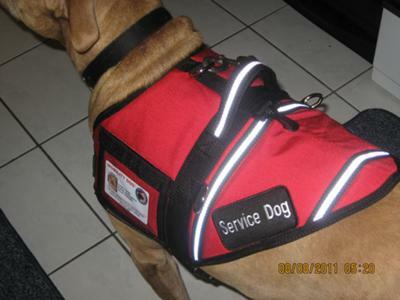 He has a service vest BUT because of my physical problem I have had for 12 years....we do not get out much. If anyone EVER wanted to rescue or adopt a dog.....I highly recommend a Pit Bull. I will never have another breed. I love ALL dogs and have had many different breeds in my life, but NOT ONE can top Peanut. 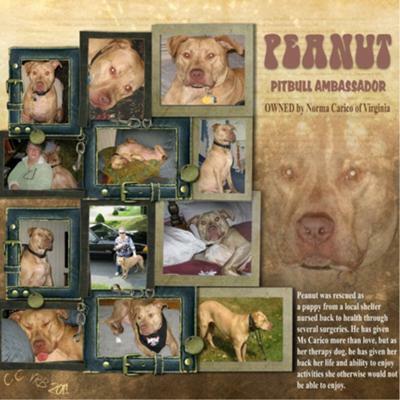 The pictures I posted is of a collage a friend on Facebook made of Peanut and she entitled him the Pit Bull Ambassador. Just reporting in with new pictures of Peanut and a update on how my precious baby is doing. Yeah, this old grandmother of near 64 LOVES her baby ! !